Kieron Pollard smashed 83 of just 31 balls which includes 10 sixes and 3 fours. Earlier KL Rahul registered his maiden IPL century. In the end Mumbai won the match from the last ball of the match. 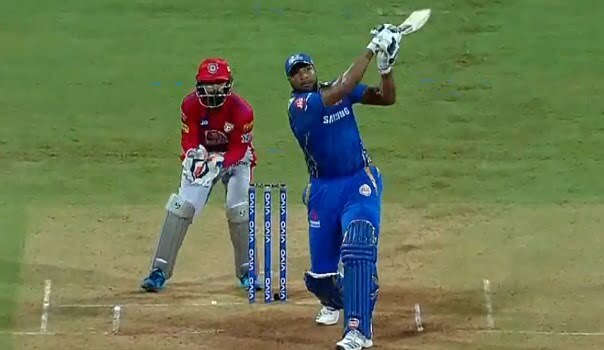 Let’s read out the complete details of MI vs KXIP 24th match IPL 2019 here. Where : Wankhede Stadium, Mumbai. Toss : Mumbai won the toss and opt to field first. KXIP Inns : Lokesh Rahul – 100(64), Chris Gayle – 63(36), Jason Behrendorff – 4-35-1, Hardik Pandya – 4-57-2. MI Inns : Quinton de Kock – 24(23), Kieron Pollard – 83(31), Mohammed Shami – 4-21-3, Ravichandran Ashwin – 4-37-1.